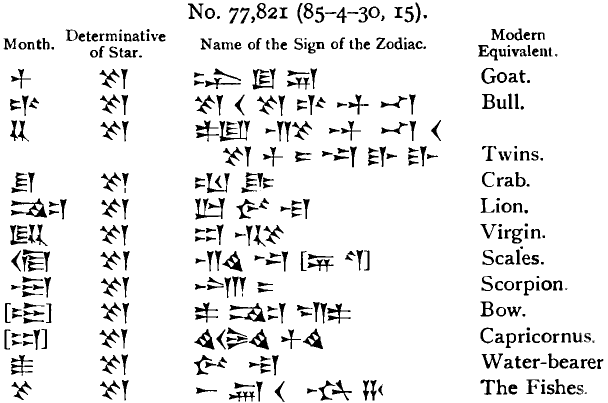 List of the name of the Stars or Signs of the Zodiac, with a List Showing the Month that was Associated with Each Star in the Persian Period. 4 Duuzu " AL.LUL. (shittu) 54... The Tortoise.